Cloud computing describes a broad range of services that are delivered over the Internet rather than relying entirely on on-site hardware and software. Being such a broad term, as well as one that is often misused and misunderstood, businesses often find it difficult to navigate their way around all the hype and find a solution that promises to be genuinely beneficial. 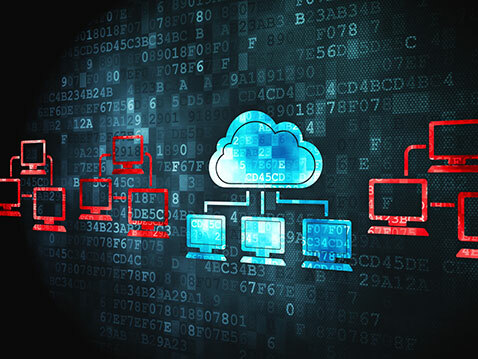 Cloud computing may be defined as a stack, whereby higher levels in the stack offer a greater range of services and features, leading to less reliance on on-site hardware and software. Investing in the cloud can provide many benefits to businesses of all sizes, particularly to smaller businesses on relatively limited budgets and a lack of space for on-site resources. SaaS is the most common and oldest form of cloud computing, and you've been using it ever since you opened your first email account. SaaS refers to any kind of Web-based software that is deployed entirely over the Internet and accessed exclusively through a Web browser. In other words, SaaS systems work entirely independently of the client operating system or device, which means you can access them from any device with an Internet connection. Almost all Web-based software is written in HTML, effectively making it work in the same way as a normal webpage. Among the most common examples of SaaS is any Web-based email account, Google Docs, Google Maps, the WordPress blog and website builder, and numerous industry-specific solutions. With SaaS, the vendor is responsible for updating and maintaining the software, servers, databases, and any other resources required for the service to function correctly. For example, WordPress allows you to build a website using only your Web browser, while the now long-discontinued Microsoft FrontPage was an entirely offline local application installed on the user's computer. The greatly increased accessibility and reduced costs and maintenance of Web-based solutions make SaaS the obvious choice for handling most non-core business functions, such as payrolls and human resources. SaaS systems with more specific focuses also exist for different industries. For example, most accommodation venues now exclusively use online reservation systems rather than locally installed software. While SaaS has been around in one form or another since the early days of the Internet, today's faster broadband speeds and higher bandwidth limits have greatly opened up the potential of cloud computing. Now, with a typical business broadband connection being dozens of times faster than just a few years ago, it is possible to take advantage of remote hardware resources as well. Sometimes referred to as hardware as a service, IaaS allows you to have full control over a software environment without having to keep any equipment on-site, other than just a basic machine that allows you to get online in the first place. While IaaS vendors retain ownership of the physical hardware, your business will still be able to enjoy greater control and power afforded by off-site hardware. By far the most common example of IaaS is online storage and backup. Cloud storage is highly scalable and flexible in nature, allowing companies with large data storage requirements to get around the restrictions of limited local storage space required for large-scale network-attached storage systems. However, as IaaS continues to evolve, it offers far more than remote storage space alone. IaaS is even slowly making its way into the consumer world. For example, there are now game-streaming services that allow users to play video games on computers that would otherwise be unable to play them due to not meeting the hardware requirements. In other words, the processing power required is taken care of by the remote machine. Similarly, many companies invest in dedicated servers for hosting their IT resources on faster and newer machines for improved performance. The PaaS model is at the top of the cloud-computing stack, since it provides businesses with by far the greatest degree of freedom and flexibility over their IT resources. In this case, businesses will have access to an independently maintained platform where they'll have complete control over the development, maintenance, and publication of their own Web-based apps and other resources. PaaS broadly falls into two main categories, the most common one being public PaaS services such as Microsoft Azure or Salesforce. Big enterprises, however, often develop their own PaaS systems to meet more specific requirements, and these work on top of a public service to provide access to IT resources to all offices, stores, and other facilities around the world. Hybrid public and private systems also exist. Businesses with specific IT requirements, such as those who offer unique services of their own, will typically need to rely on the PaaS model for the development and maintenance of their own apps, websites, games, social resources, and mobile apps. For companies seeking to increase their reach by developing platform-independent applications, PaaS affords the opportunity to create an entirely independent and customized environment that's available to anyone with an Internet connection. Choosing the right PaaS for your business can be a difficult decision, and it's certainly not a trivial one. However, making the right choice will allow you to improve innovation, focus your resources, take advantage of the best technology available, and of course, save money. It is important to remember that cloud computing does not describe a single type of service. For companies seeking to migrate either wholly or partially to the cloud, it is important to recognize the different areas of cloud computing and how they concern your industry and the size of your business. You'll need to assess your own situation carefully and define your goals before you can truly take advantage of the cloud-computing revolution. Nonetheless, you won't want to wait around too long either, considering that the cloud is undeniably the future of corporate information technology.